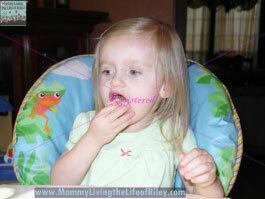 « Celebrate Easter Safely and Avoid These Hidden Dangers ~ Tips from Dr. Sears of THE DOCTORS! 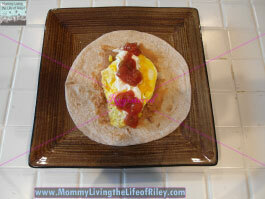 Breakfast is one of my favorite meals of the day, primarily because I LOVE eggs! 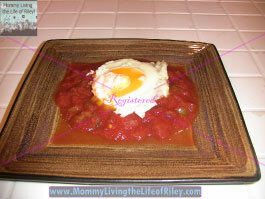 Eggs are one of those perfect foods, for there are a million ways to cook them and they all taste great. Of course, there's more to an egg than meets the eye, and Eggland's Best gave my friends and family the opportunity to discover the differences and uncover why Eggland's Best is America's #1 egg. Now that's one hard-working egg! 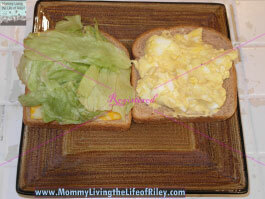 Visit Eggland's Best for more nutritional comparisons of an Eggland's Best Egg versus an ordinary large egg. The results are quite an eye-opener! All of these nutritional facts make me feel good about serving Eggland's Best Eggs to my friends and family, but in the end, I eat eggs for their taste. When I was a little girl, I used to love eating breakfast at my grandparents farm, for every morning, we would get up early and collect the eggs right from the hens. That farm-fresh taste definitely came through in every dish my grandmother would prepare and no store bought eggs have ever come close to that freshness...until now. Eggland's Best also conducts 35,000 quality assurance tests per year so as to guarantee that their eggs are free from blood spots, cracks and stains. This superior quality to the hens' feed as well as their own production standards give the Eggland's Best Eggs a fresh taste that is far better than any store-bought egg I've ever eaten...just like on my grandparents' farm! 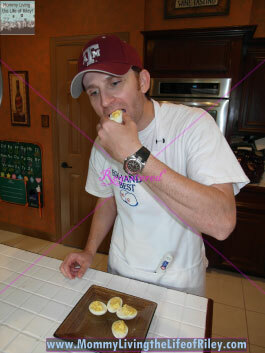 My Husband Showing His Weakness for Deviled Eggs! 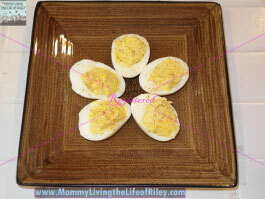 Our guests definitely seemed to prefer the Egg Salad Sandwiches we served as well as the Deviled Eggs. We couldn't seem to make them fast enough! If you are searching for some scrumptious ways to serve your Eggland's Best Eggs, just check out their website for a huge list of recipes. Of course, for the little ones in attendance, we served up plain hardboiled eggs as well as some cheesy omelettes and the results were outstanding. 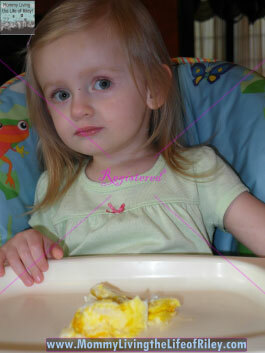 Even my own toughest critic, Riley, had to give in to the fresh-tasting goodness of an Eggland's Best omelette! Just Look at That Yummy Orange Yolk...Now That's FRESH! In order to award the prize packs, we quizzed everyone in attendance on some interesting Eggland's Best facts. Here were a few of the questions which stumped most everyone. Do you know the correct answers? 1. 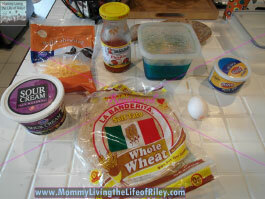 How many eggs per DAY are eliminated because they do not meet the criteria of an Eggland's Best egg? 2. True or False: It's more nutritious to eat only the egg whites. 3. 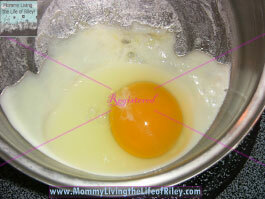 True or False: EB Eggs have thicker shells than ordinary eggs. 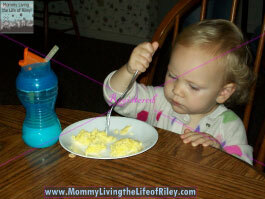 Then, Eating her Eggland's Eggs and LOVING Them! The majority of nutrients can be found in the yolk. Research has shown that people who ate up to 12 Eggland’s Best eggs per week experienced no increase in their total serum cholesterol or LDL (“bad”) cholesterol when compared to a group who did not eat eggs. In fact, both groups reduced their serum cholesterol by approximately the same amount. EB eggs have a thicker shell as a result of the special diet EB hens are fed, which helps keep more nutrients intact and provides extra protection from bacterial penetration. So there you have it! 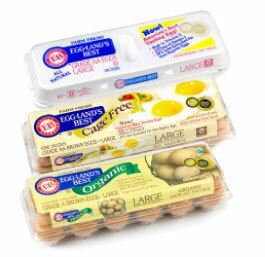 Eggland's Best Eggs are America's #1 egg for good reason. 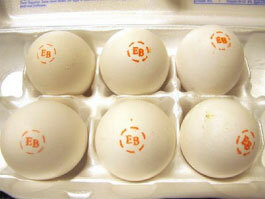 If you've yet to try an EB egg, I highly recommend picking up a carton on your next trip to the grocery store. With better nutrition AND better taste, how can you go wrong? 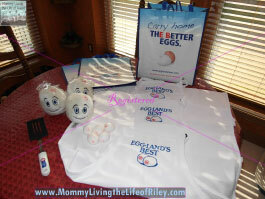 Disclosure: I received VIP coupons, a gift card, a Flip video camera, and prize packs and information for my guests from Eggland's Best in order to facilitate my review. No other compensation was received. This product review is based on my own personal experiences with this item and is completely honest and objective.